The other day, I attempted to felt yarn for the first time. 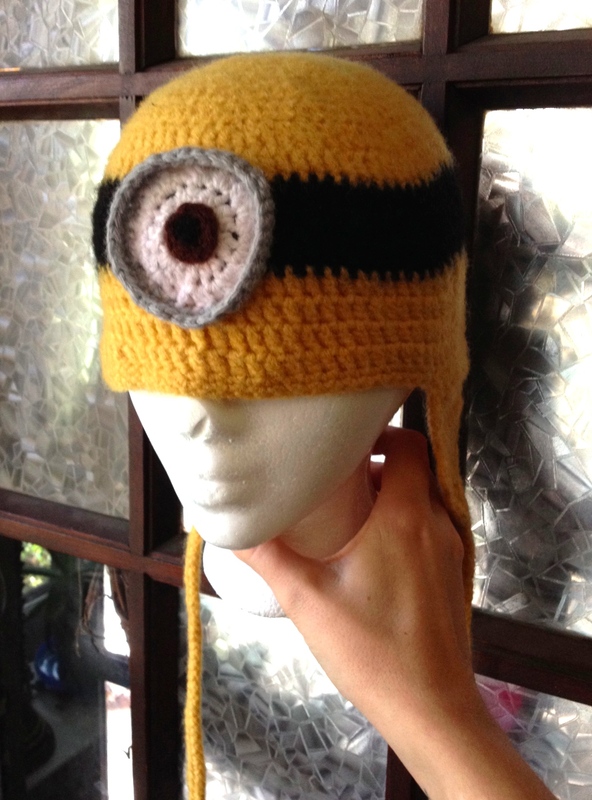 I was making a minion hat and until now, I have made all my hats very simply…acrylic yarn, ends weaved in and voila! But lucky for me, one person requested wool rather than acrylic. I searched for a nice brand to use that would offer a good selection of colours and came across Cascade 220 yarn. 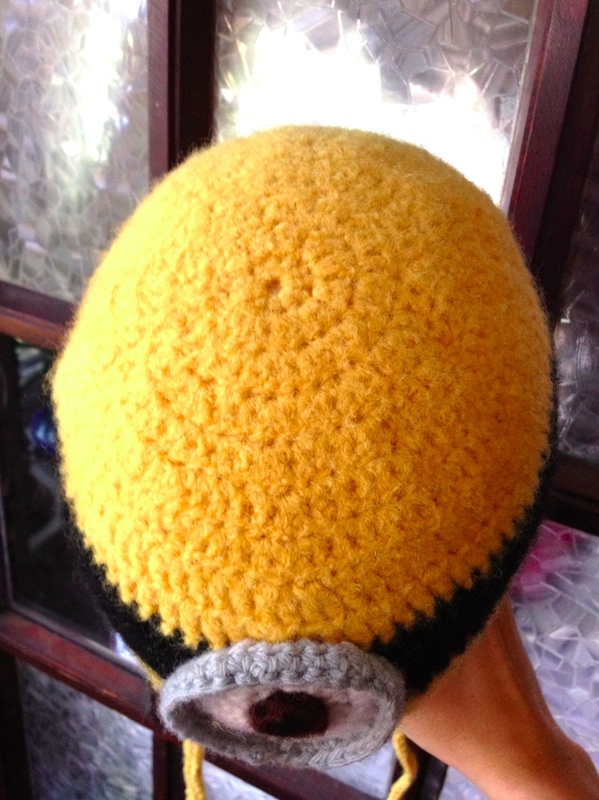 It’s 100% peruvian wool and is quite affordable. Many reviews online mentioned that it felts nicely and my curiosity was piqued. I have read about two ways to felt…by hand and by machine. Because I wanted to actually witness the felting process, I decided to try it by hand. I used my kitchen sink and submerged the hat in hot water. Sadly, the water in our apartment doesn’t get *hot* so I also boiled a kettle and added that water to the mix. 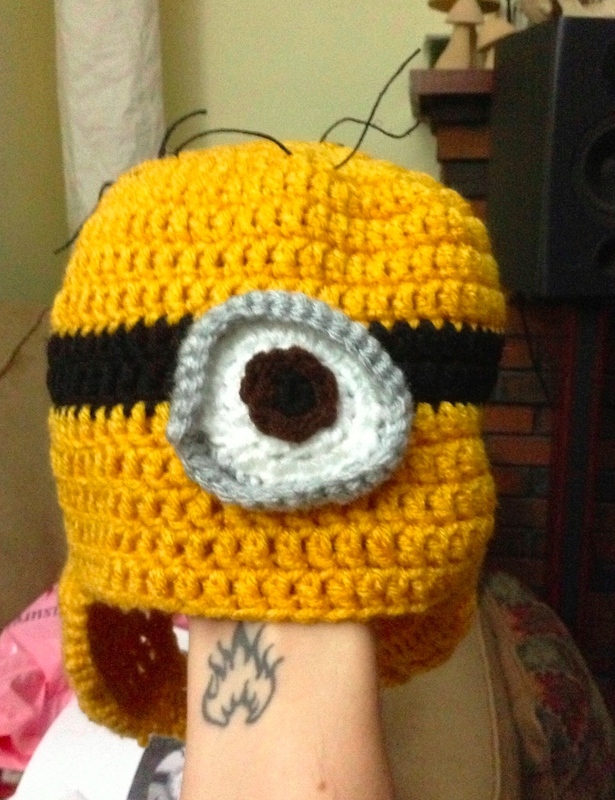 Using rubber gloves, I spent about 15-20 minutes agitating the hat. I rubbed it together and found the rubber gloves added helpful friction to the process. Eventually, I started to see the beginning of felting. The stitches began to blend to together and soften. I really liked the effect and decided to stop, allow it to dry and see what 20 minutes of hand-felting looked like. 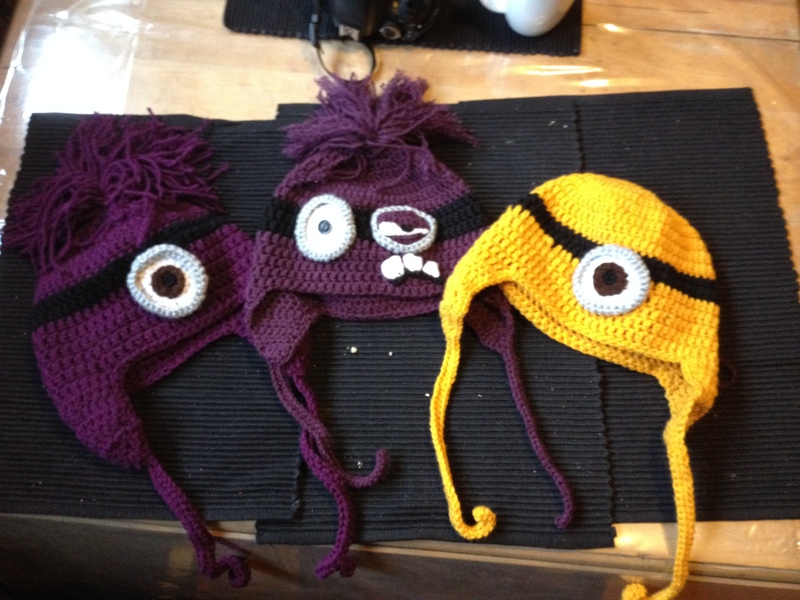 Since then, I have made the eye to attach to the hat and I felted that separately in a small bowl. I poured boiling water over it and instead of jumping right in, I allowed it to sit for a few minutes. This seemed to allow the wool to soften and really sped up the felting process! The stitches are obvious, easily counted and when stretched out, they separate, creating space between them. As I mentioned, it is only semi-felted so the stitches are still visible to an extent but their fibres have begun to mesh together. The spaces in between each stitch and smaller and therefore the material feels quite a bit denser and warm.